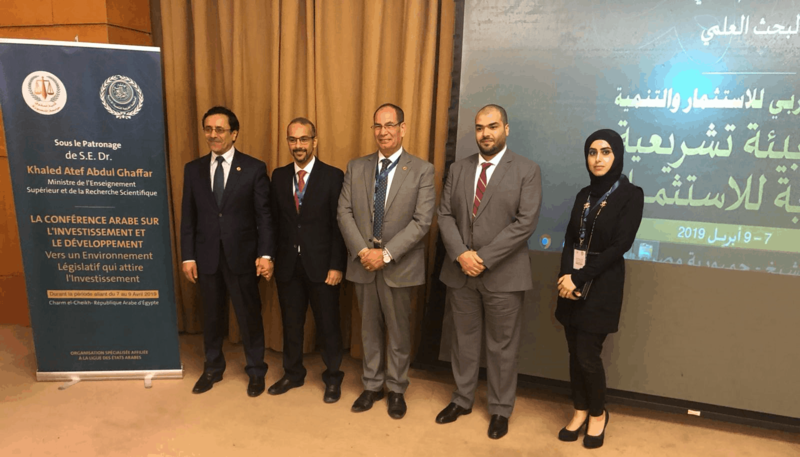 Kuwait Direct Investment Promotion Authority (KDIPA) participated in the Arab Conference For Investment and Development: Towards an Investment Attracting Legislative Environment under the patronage of H.E. Dr. Khaled Atef Abdul Ghaffar, Minister of Higher Education and Scientific Research on April 7-9, 2019 in Sharm El Sheikh – Egypt. KDIPA’s was represented by Mr. Mohammed Saleh Al-Ajiri, Assistant Director General for Financial and Administrative Affairs, Mr. Adel Abdulaziz Talal, Legal Affairs Department, and Ms. Manal Shafi Al Ajmi, Administrative affairs Department.